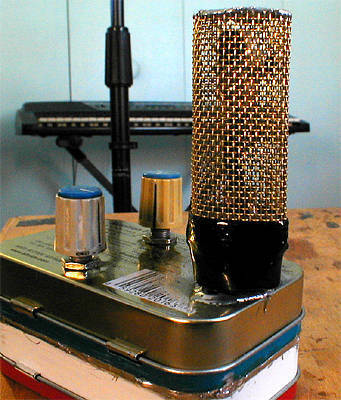 This is a DIY mid-side condenser microphone with a built-in stereo decoding matrix and preamp. 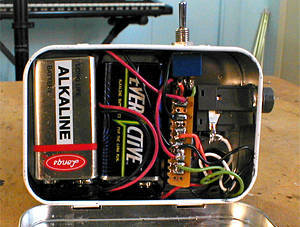 The microphone and preamp are powered by two 9v batteries, and the whole unit can be built on a Radioshack circuit board and housed in a modified Altoids tin. 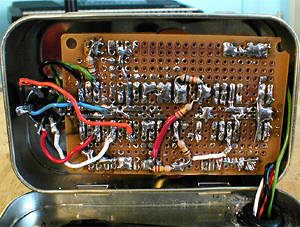 Awesome project for DIY field recording! Price: No products available. Inexpensive bill of materials.